This is a great suit for a child’s first visit to the pool, and for swimming lessons. It will keep your child warm and comfortable. A full neoprene body keeps the child warmer longer, and allows for full flexibility. Front zip allows for easy on and off. 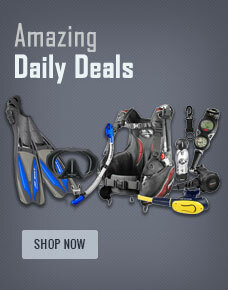 Buy Neosport 2mm Kids FZ Shorty from Divers Supply at the best price. Neosport 2mm Kids FZ Shorty comes with full Manufacturers warranty because Divers Supply is an authorized dealer for everything we sell.